That fu man chu. Danggggg. thats whats going on!! mr miagi? Po? Chan? lol what his name?? 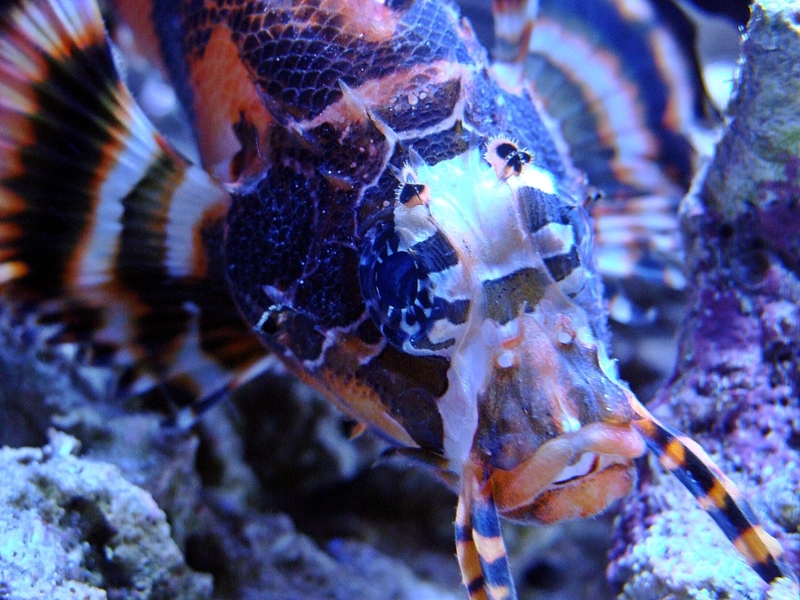 That fu man chu is one pretty fish. It looks a little koi like in it's body coloration. Overall they all look great Nick, I can't wait to see them in person! I'm in love with him. I'm kind of digging miagi lol I'll pick one later. So the final things are in. 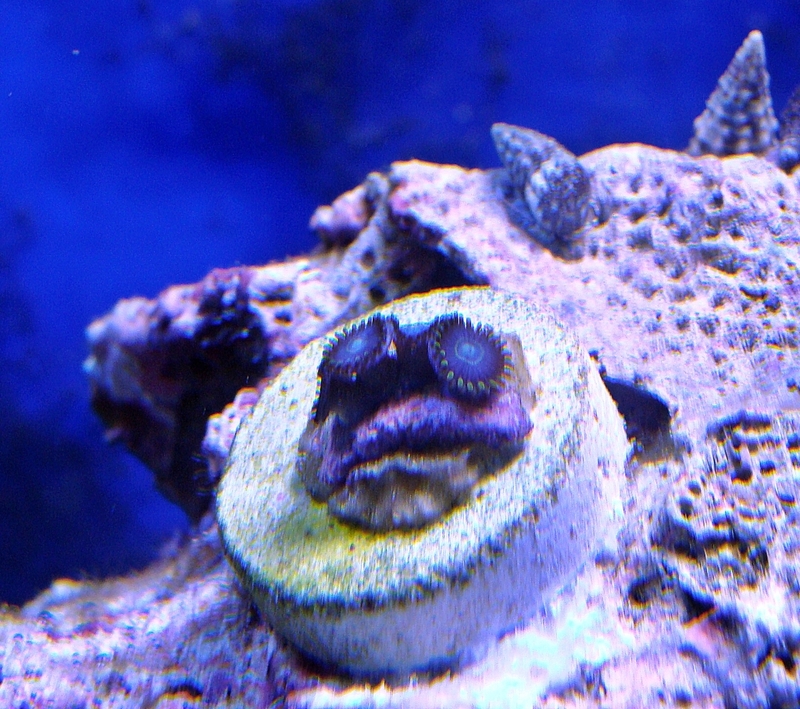 I picked up a 3in marine betta, as well as some zoos. The betta is doing good, and the fu manchu really comes alive at night. 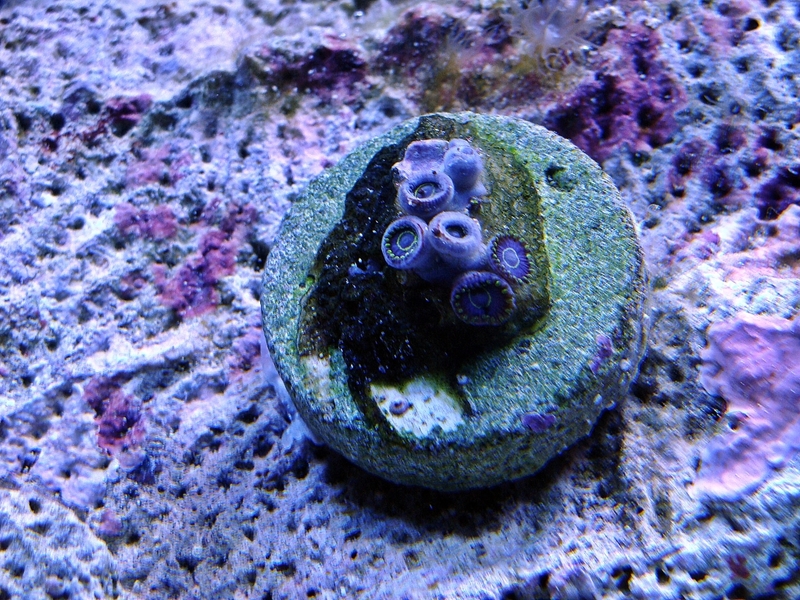 As I was trying to glue the zoas down he was swimming all around the tank. 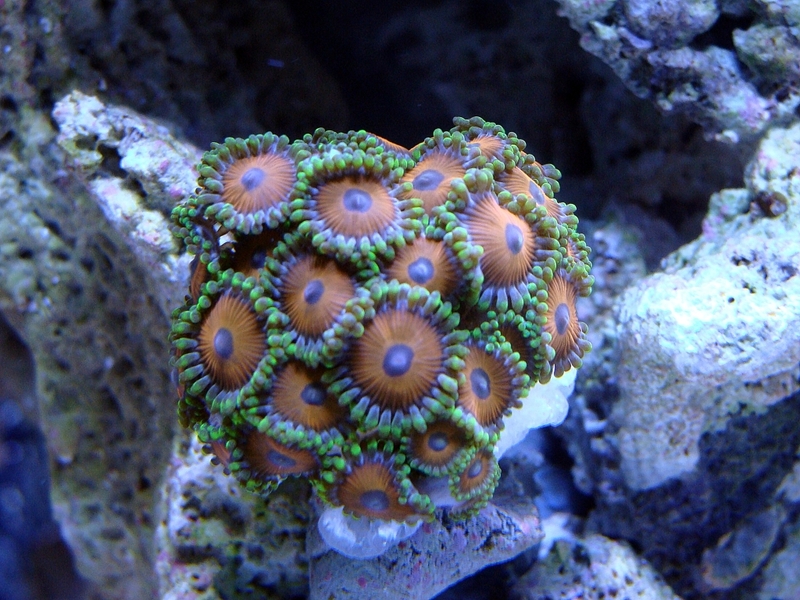 I'll try and take some zoa pics tomorrow. 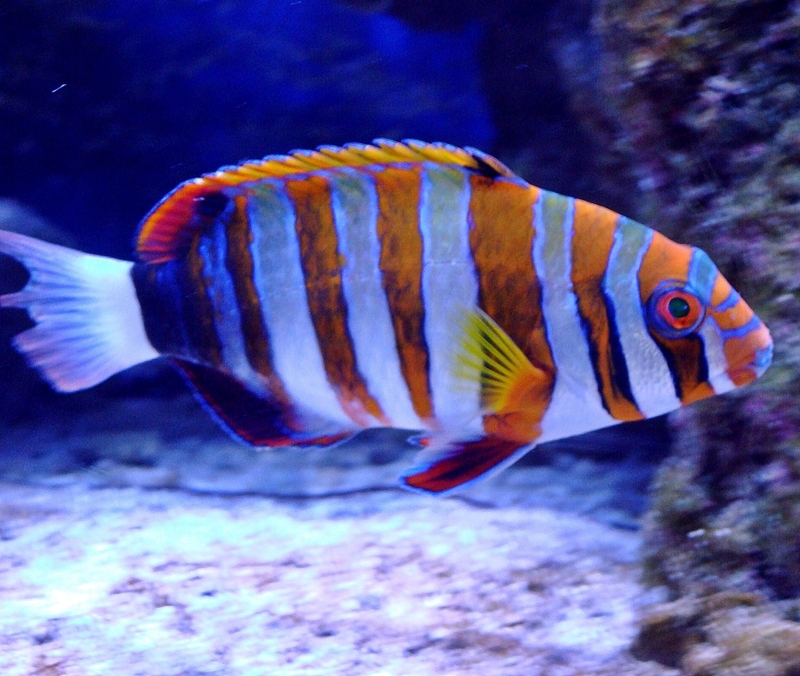 Great shots of all of the new fish!!!! 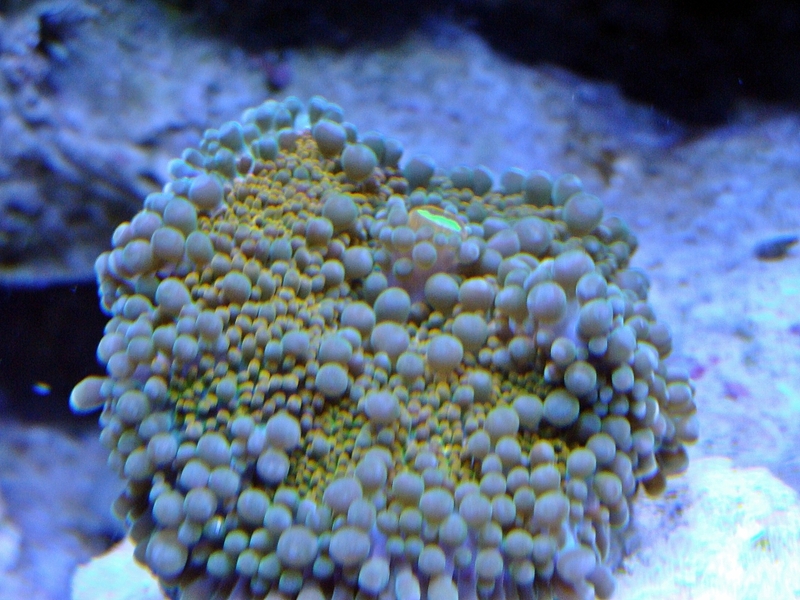 Do I see a PotM? And, LOVE Mr. Miagi! 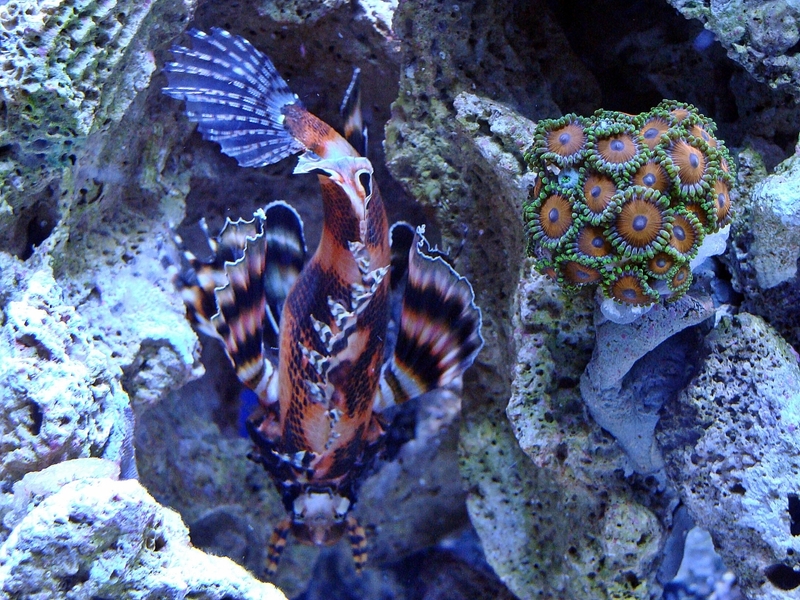 His colors and patterns are awesome! 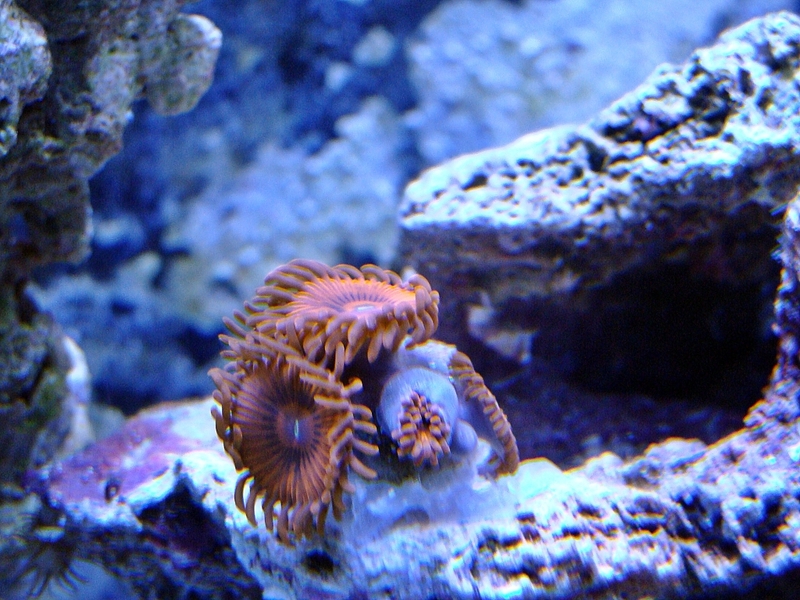 That might be a POTM shot, not sure yet and MIYAGI is too cool . I've yet to see him eat silversides though. I've yet to see him eat silversides though. 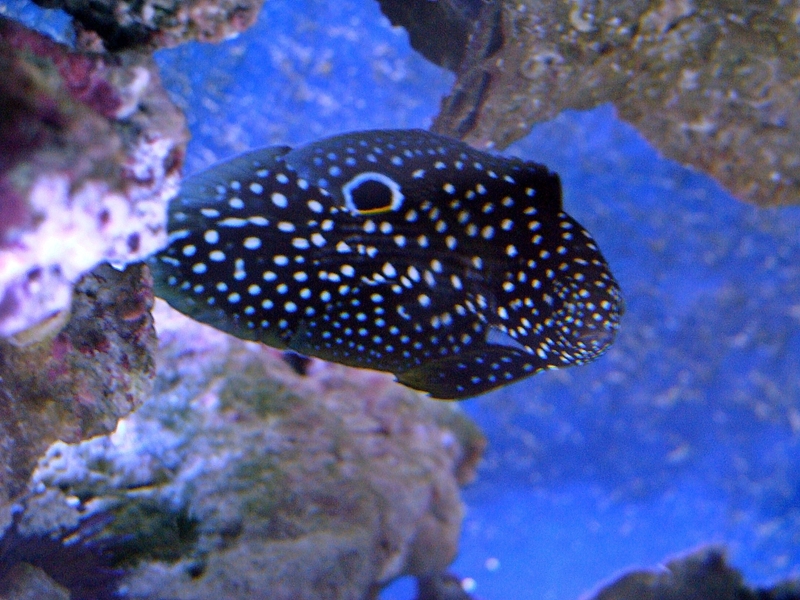 Your filefish needs to grow up nice and strong before someone eats him! 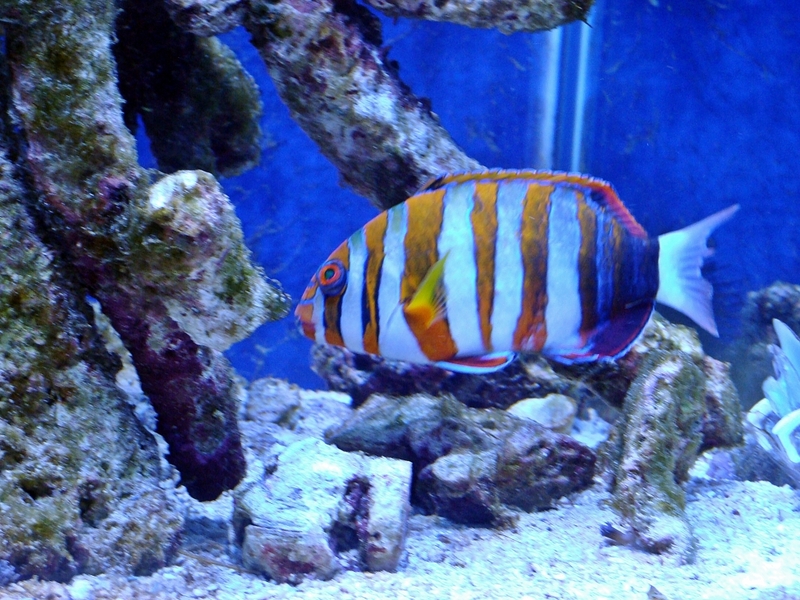 I'm surprised the wrasse is still doing good. 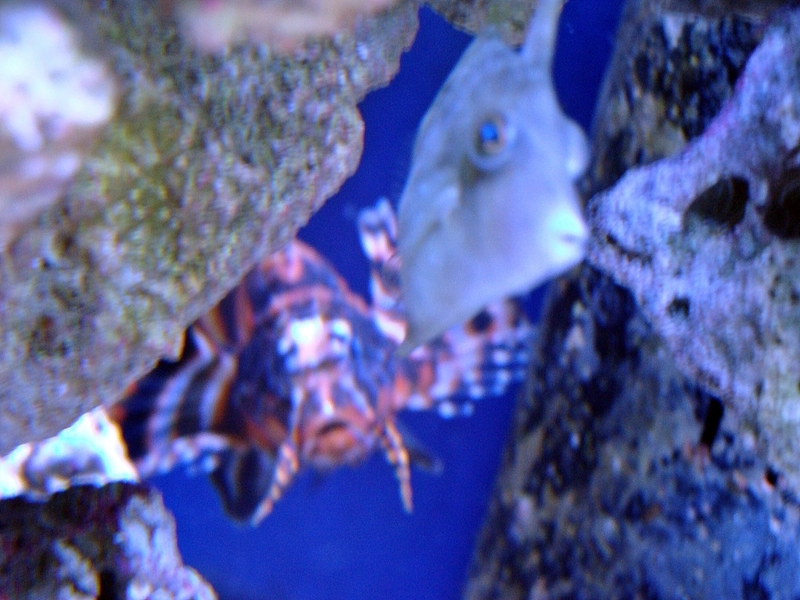 And, love the "creeper" shots as well, lol That filefish better watch out! Im in love with Miyagi's coloring. It's really awesome. And with all the fish you have in there your tank looks really badass haha, Great job! 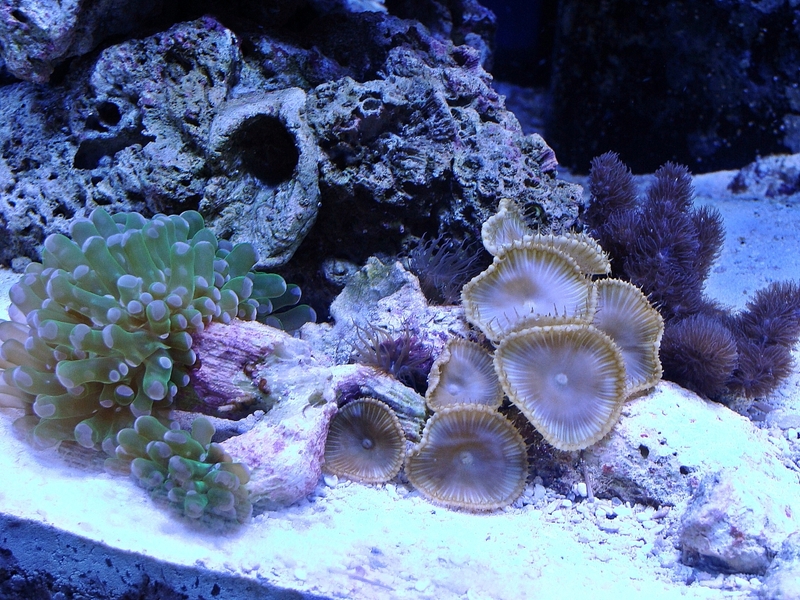 Thanks Ashley I'm really happy with how the tank is turning out. So I just had a 45 minute fight with rescuing a fish from my overflow. 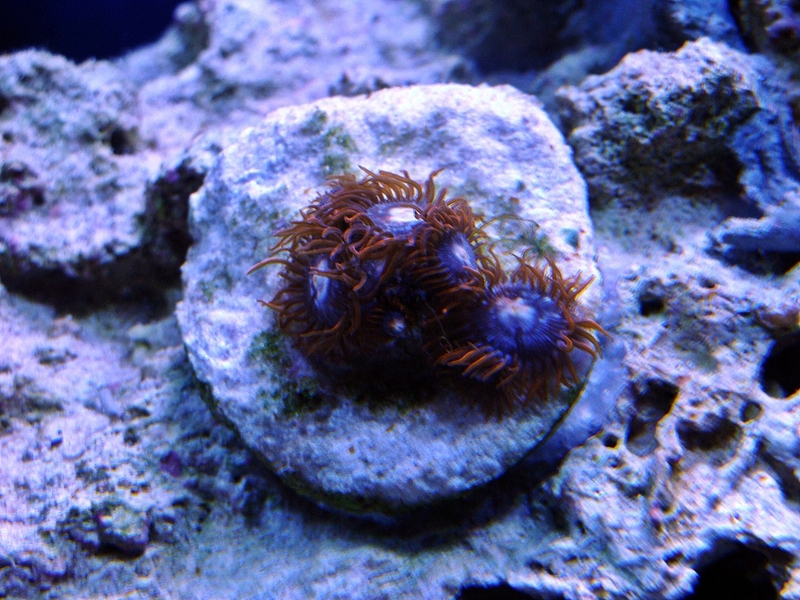 My fuzzy dwarf hadn't been around for 2+ days, so I checked the overflow and there he was (along with my wrasse). I ended up draining my overflow dry, blocking the hole I opened with a net. 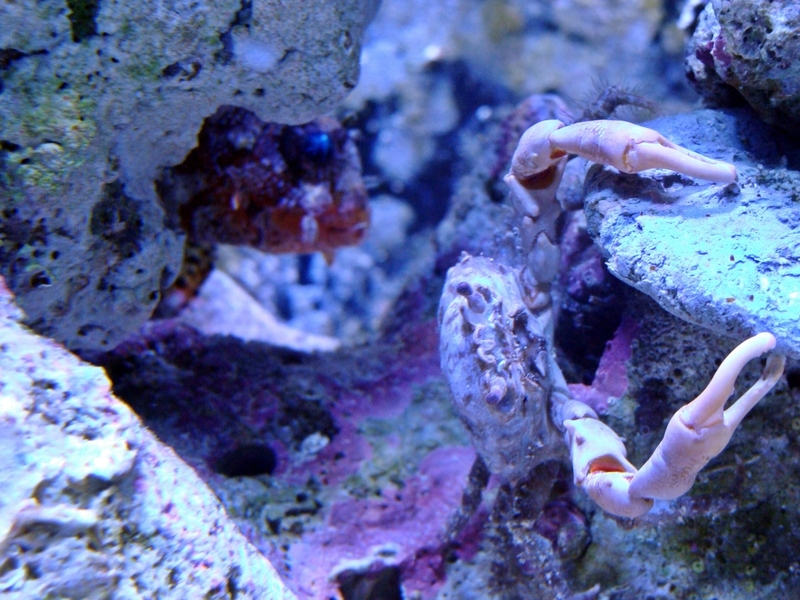 Then I scooped them up and put them in the tank. Pretty nerve wrecking experience. yeahh that'd be crazy. i've had one go through the pipe and into the sock before! lol i didn't know lionfished jump.. they just seem so slow and feather itd be awkward for them to fly.. He probably was perching on the overflow, got too close to the top and got pulled in is what I'm assuming lol. It's securely tied down now so no fish can get in. Sounds like you had an eventful evening! Glad it all worked out! So my 3month old return pump broke, but they are sending a free replacement. 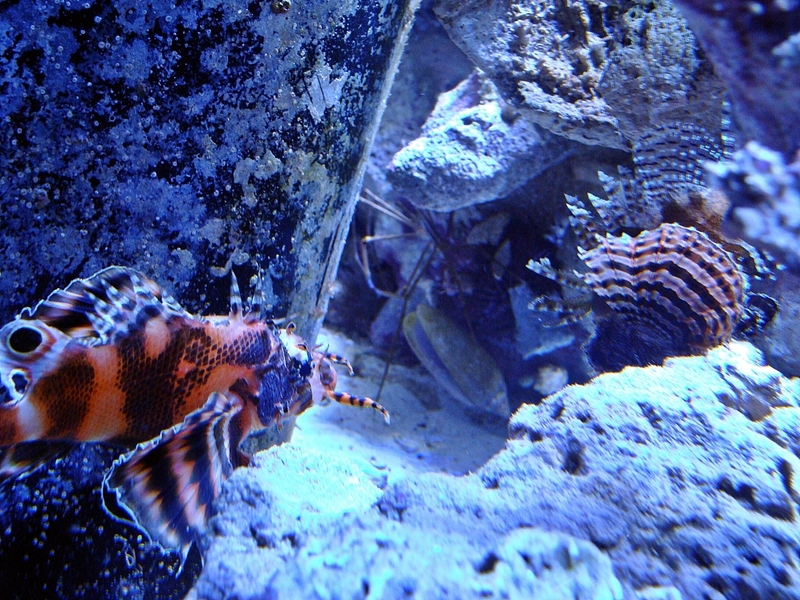 While working on the pump yesterday I heard a fish jumping, turns out my two lionfish were in fact males and the red one was chasing the other out of the water. I didn't want them to jump onto me (as I was shirtless on the floor below), so I removed the lighter one and placed him in my sump. So I returned him today, and bought a fish I have wanted since I had my 6 gallon set up, but it wouldn't quite fit. Wowzers! Sounds like you've had a lot going on! 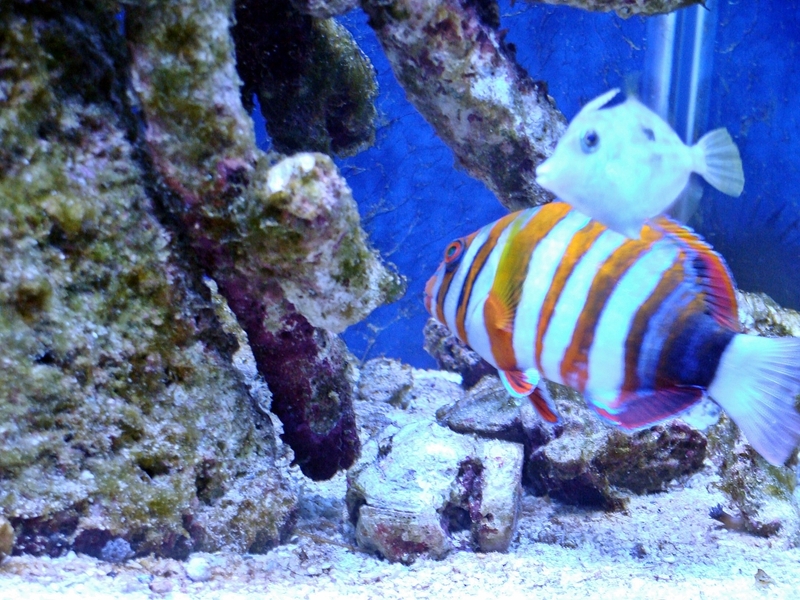 Glad they are replacing the pump for you, and that you were able to work out the lion fish drama. 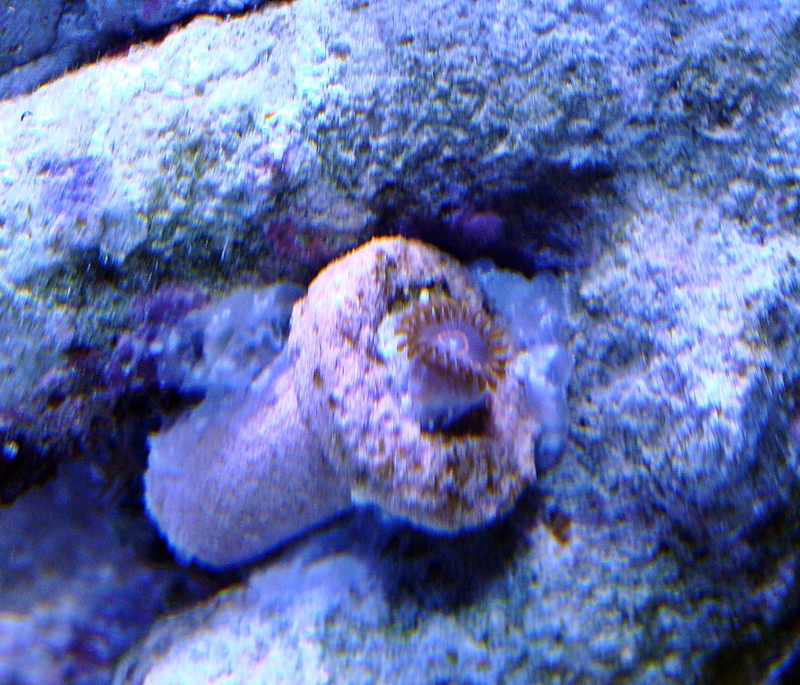 And, NEW FISH but NO PICS????!!!!!! Love the new fish! Nice group shot pic! 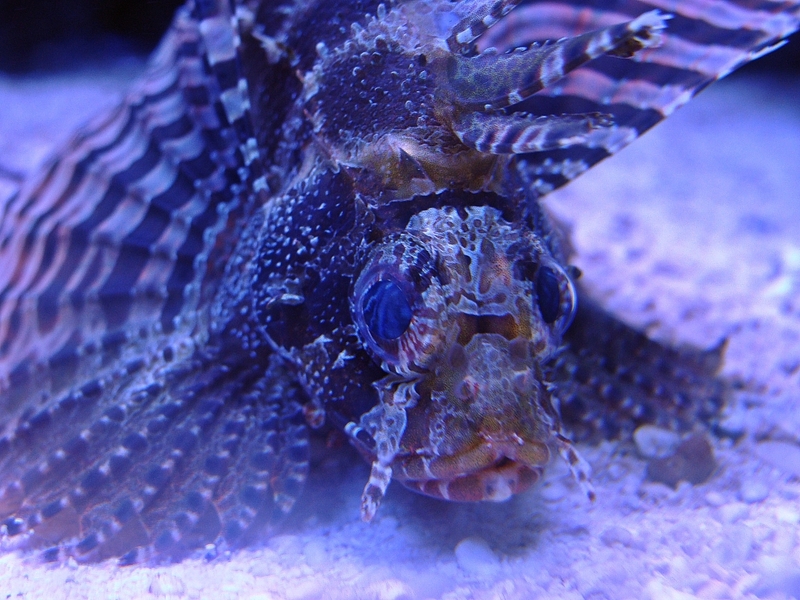 The eyes on the lionfish make them look alien, and ugly in a cute way! 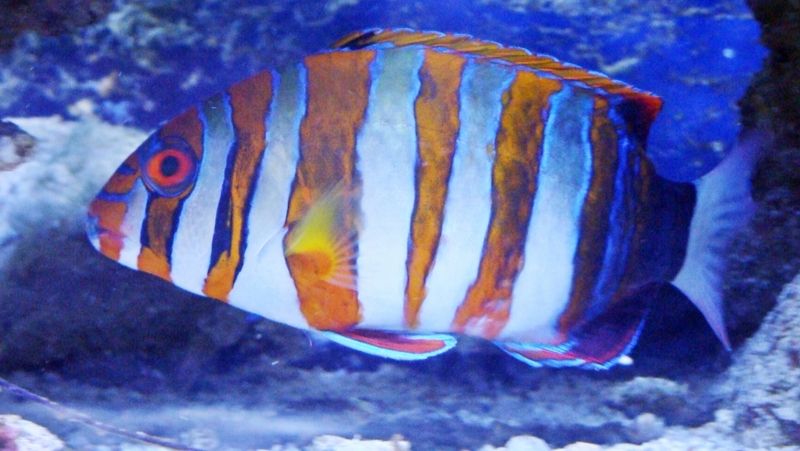 I like the coloring on your new wrasse Nick. I think your size comparison may be off, the filefish seems closer. He's trying to fool you like one of those ames room illusions. 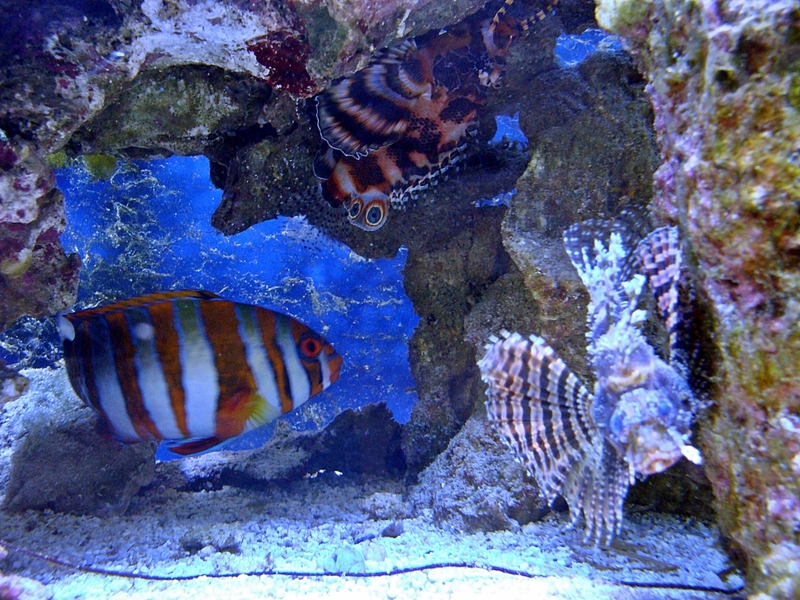 Any new names for the filefish or the wrasse? Looks so sick! how's he behaving? ?